Midlands State University put on a spirited performance at the just ended Zimbabwe Universities Sports Association (ZUSA) cluster one games, to book their spot at the prestigious Zimbabwe Tertiary Institutions Sports Union (ZITISU) games. The ZUSA games, which were held from the 14th to the 17th of March 2019 at the National Universality of Science and Technology (NUST) in Bulawayo, saw Team MSU scooping 23 gold medals, 16 silver medals and 18 bronze medals to finish as runners-up behind perennial rivals the University of Zimbabwe. Team MSU’s finished with a medal tally of 57 medals, registering wins in hockey, taekwondo, table tennis, karate, athletics, cricket, golf and volleyball. Commendations for exceptional performances and sportsmanship go to the athletics team, which won 9 gold medals. The ladies and men’s hockey teams also pocketed gold medals, with the ‘Smashers’ as the table tennis team is affectionately known similarly securing gold in both the men and women’s singles and doubles tournament. 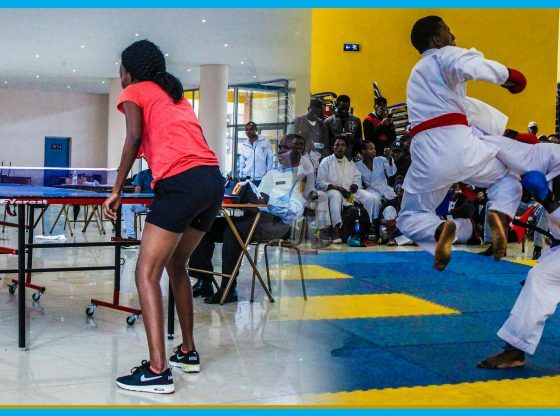 Not to be outdone, the karatekas aka the Senseis chopped and kicked their way to the medals table with three gold medals, while super charged batting skills witnessed the ladies cricket team garner gold as well. Team MSU medalists will now proceed to represent the ZUSA team together with medalists from other universities at the ZITISU games. The ZITISU games will see athletes from ZUSA, Zimbabwe Teachers’ Colleges Sports Association (ZITCOSA) and Technical Education Sports Association of Zimbabwe (TESAZ) battle it out for a chance to represent the country at the International University Sports Federation (FISU) games to be held in Napoli, Italy from 3 to 14 July 2019. On behalf of the entire University community we say, Congratulations, Makorokoto, Amhlope to Team MSU and wish you all the best at the ZITISU games.